The problem with a being an arts administrator is that you spend so much time administering the arts that you have little occasion to enjoy them. Wonderful opportunities offered by our Kentucky Arts Partners and program artists pass over our desk, and we lament not having the time to attend or participate in all of them. We are pleased to report that this year, the planets aligned in such a way that we will be able to join the celebration during the Living Arts and Science Center Day of the Dead Festival at the Old Episcopal Burying Ground in Lexington. We are creating an altar honoring late Kentucky artists with Kentucky-centric ofrendas. Our intention is to be faithful to the spirit of the traditional Dia de los Muertos celebration, while offering a cross-cultural interpretation that is also true to the Commonwealth. We look forward to learning and sharing on Nov.1 and, of course, having some fun. 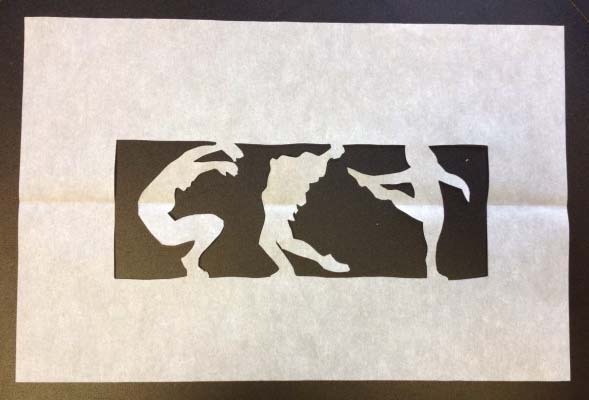 Papel picado we made in the style of John Tuska, one of Kentucky’s great artists. We will feature photos of artists who have passed like Rosemary Clooney, Bill Monroe, Rude Osolnik, Skeeter Davis, James Baker Hall and many others. Ofrendas will include all those foods and items a Kentucky artist might miss if far from home. 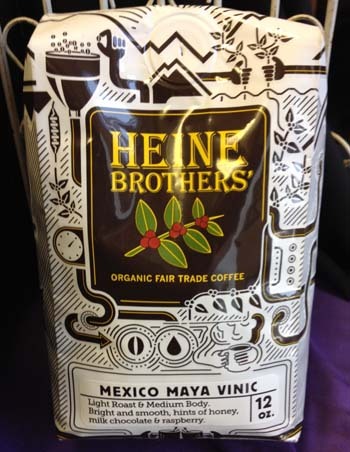 There are layers upon layers of meaning in this offering of Heine Brothers’ Mexico Maya Vinic. It’s inspiring to watch a Day of the Dead celebration become a part of the annual fall landscape in Lexington. This holiday from another country and culture certainly has resonance in a new home. This is likely because the participants — whether first –generation Kentuckians or tenth-generation Kentuckians — place a strong value on remembering those who came before. Nowhere is this value more evident than in our art. You can hear it in our musician’s songs and read in our author’s words. Kentucky’s strong sense of place has as much to with people who walked it and were inspired by it throughout their life, as it does with the land itself.